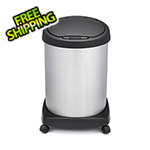 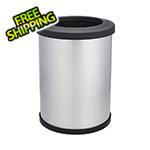 The Shop-Can 12 gallon stainless steel trash can and waste container has a dolly with casters for easy mobility. 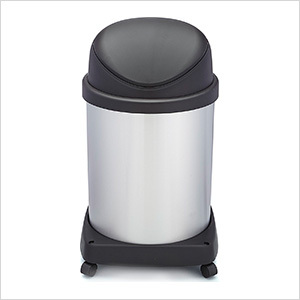 This unit features a spring lid design for easy disposal of trash, and comes with a bag retainer to hold bag in place when putting in to can, the trash bag will not fall into the can and stay in place. 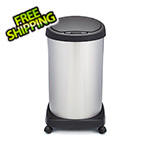 This stainless steel trash can is proudly made in the USA.